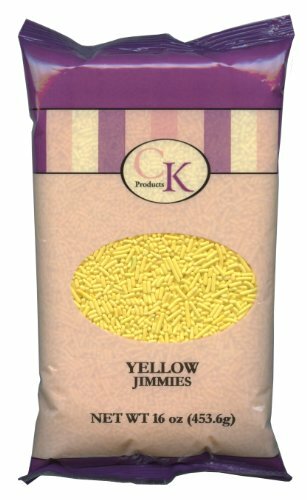 Colorful Jimmies/Sprinkles make decorating your cakes, cupcakes, and cookies fun and easy. Great as an ice cream topping too! Use multiple colors to match Holiday themes or your favorite team's colors! If you have any questions about this product by CK Products, contact us by completing and submitting the form below. If you are looking for a specif part number, please include it with your message.